So it’s safe to assume that Russia isn’t very high on your travel wish list right now? It’s not the country’s fault. Moscow, St. Petersburg, and Lake Baikal all look amazing. It’s the president who disgusts you. The way he’s handled world politics—including Crimea, Syria, and our own presidential election—doesn’t make you feel safe or secure in traveling to his nation. So it’s a good thing that Wrangel Island would be really, really difficult to visit anyway. Wrangel Island is a fascinating place. The remote island—plus the waters surrounding it—is a UNESCO World Heritage Site and nature reserve. The world’s last woolly mammoths most likely lived here thousands of years ago. It’s now a breeding ground for polar bears, Pacific walruses, and elephant seals. Arctic foxes and lemmings, snowy owls and snow geese also call the island home. While whales—beluga, bowhead, and gray—spend winters in the icy water. This wildlife-packed island is truly remote. It sits in between the Chukchi and East Siberian Seas, which are both part of the Arctic Ocean. It lies about 85 miles north of Siberia, one of the most forbidding places in the world, and just west of the International Date Line. Coastal plains, covered with arctic tundra, blanket the north and south sections of the island. The Tsentral’nye Mountain Range runs through the center. While steep cliffs drop into the dark water on both the east and west coasts. It’s not surprising that Wrangel Island doesn’t have many visitors. Four rangers live here year round. About a dozen scientists come during the short summer months. While a handful of adventurous tourists arrive only when the ice conditions allow. But it wasn’t always this way. 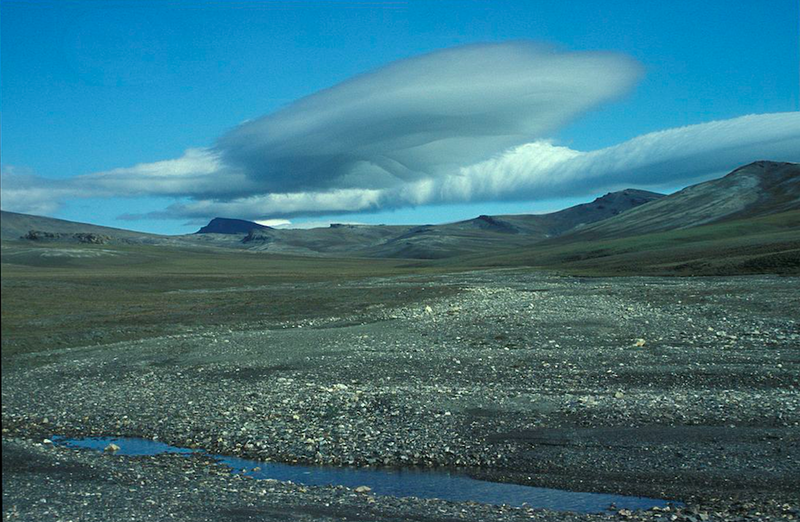 Chukchi people—indigenous Eskimos—fished here before the island was discovered by Cossacks in the 18th century. Britain, Russia, and the United States all tried to claim the island in the following decades. Russia ultimately prevailed and founded Ushakovskoye to assert sovereignty over the island. The village, on the southeast coast, grew—and even thrived—through 1970. But its airbase was eventually closed, and people resettled on the mainland. It’s been deserted since 2003. So the island once again belongs to the animals. It’s home to the highest concentration of polar bear dens in the world. More than 100,000 walruses live on a single beach. Even more snow geese migrate up the California and British Columbia coasts to return home each spring. Hopefully Russian politics will drastically change, and you’ll be one of the few adventurous tourists to see Wrangel Island up close one day.